After much delay (and frequent whining and complaining by Mid-Southerners), it appears that summer weather may finally come to an end later today with the passage of our first autumn cold front. It will be a welcome change after yet another stretch of record high temperatures this week. In fact, the high temperature of 100 on Monday was the latest 100-degree reading in Memphis in recorded history (dating to 1850)! The cold front will move through the Memphis area this afternoon with little initial fanfare. There could be a few showers along the front, but mainly an increase in clouds and a shift in the wind to the west, then north tonight. By Saturday, humidity will be falling and a steady northeast wind will make it feel much more pleasant, with a high in the mid 80s expected. By Sunday, another sign of fall - a strong upper-level low pressure center that moves into the region - will appear. This low will cause an increase in cloud cover once again, which will help hold down temperatures to near 80 Sunday afternoon. A few showers will be possible Sunday afternoon and night as well. Computer models are still not completely agreeing on the exact track of the low, but it appears that Monday will still see the Mid-South under it's influence, so I'm forecasting more clouds than sun and a continued chance of rain. Temperatures will remain cool on Monday with highs in the 70s, likely the lower 70s. As the low pulls away by Tuesday, sunshine returns and fair autumn weather takes hold with highs moderating to near normal by mid-week (lower to mid 80s) and lows in the 50s! For complete forecast details, check out the MWN Forecast. If you thought the record-breaking was a thing of the past, Mother Nature has something else in store! As discussed late last week, another heat wave has enveloped the Mid-South. The fortunate difference between this one and most of this summer is the much lower humidity values this time around. It's a "dry heat!" The lower humidity means a couple of things: 1) heat indices are not really a factor - 100 feels like 100 and not 115, and 2) the temperature drops more quickly in the evenings than in August and early morning temps have actually been fairly pleasant, falling into the 60s regularly and even some 50s over the past weekend. Fortunately, there is relief in sight as a heat-busting cold front moves through on Friday night/Saturday. While the front won't produce enough rain to help much with drought conditions across the metro area, we will return to "near normal" temperatures starting Saturday with highs back in the 80s. I don't suspect we'll see many mid 90s temperatures again in 2010 after Friday, leaving a summer for the record books in the rear-view mirror. Good riddance! One last blast of summer? Even though a "cool front" is moving through the region today, the only "sensible" effects will be a wind shift and a reduction in humidity values. Very little, if any, rain will fall with this system, other than the brief light rain that fell early this morning across parts of the metro and did nothing to help relieve abnormally dry conditions. Average temperatures for this time of year are a high of 86 and a low of 65. For further details, check out the MWN Forecast on MemphisWeather.net. What seemed like a slow start to hurricane season has definitely taken on new life in September! 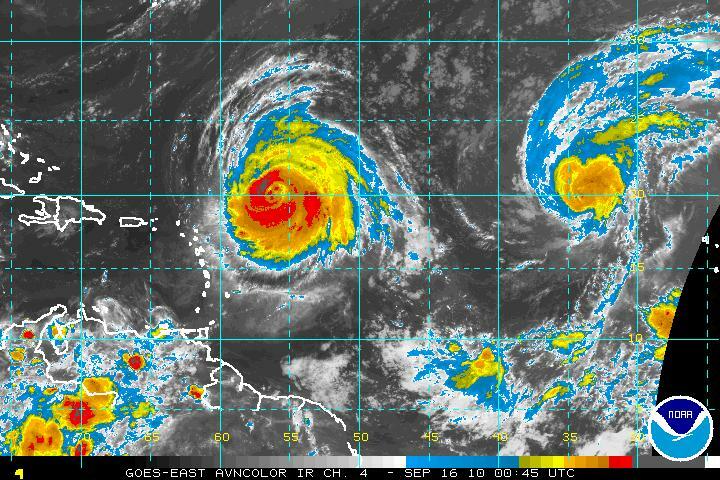 The Atlantic basin is currently featuring 3 storms: Igor, Julia, and Karl (click image above for larger view). Igor (EE-gor) has been churning through the central Atlantic for several days now and has spent over 3 days at "major hurricane" status (category 3 or higher) after exploding from category 1 to 4 on Sunday morning. Igor actually got within 1 mph of becoming a category 5 on Tuesday night. The last category 5 storm in the Atlantic was in 2007 (Felix). I featured some incredible "super rapid scan" satellite imagery of Igor on Facebook and Twitter on Monday that shows images taken every one minute as the storm rotated with category 4 intensity. It's a large loop, but worth the wait! Check it out here. (And there's a good reason to follow MemphisWeather.net on Facebook or Twitter!) Igor could have significant effects on the island of Bermuda on Sunday, but will avoid the U.S. coastline, bringing nothing more than some high surf and a threat of rip currents to the east coast. Julia also developed quickly and followed in big brother's footsteps, jumping from category 1 to category 4 overnight Tuesday night. Julia is not expected to have any significant effects on any land masses, instead stirring up some Atlantic ocean life. Julia should have a shorter stint in a major hurricane state as she feels the effects of wind shear from her much larger brother Igor in a day or two and begins to weaken over the central Atlantic. 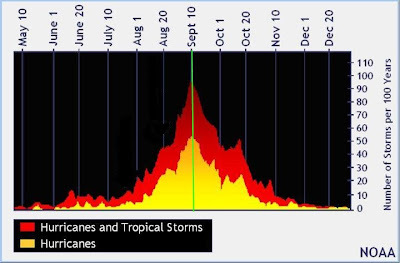 Julia will best be known for being the strongest hurricane so far east in the Atlantic (usually storms have to travel further west before reaching category 3+) and also for pairing with Igor to become only the second simultaneous occurrence of two category 4 storms (September 1926 was the other time). Julia is also the 4th category 4 storm of 2010 - in 3rd place all-time with a good part of the season yet to go. 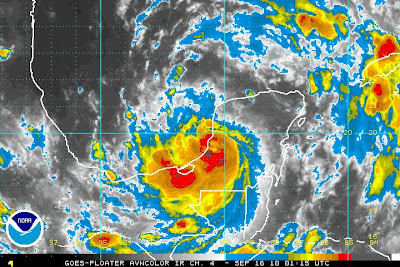 Finally, Tropical Storm Karl also burst onto the scene quickly, going from tropical disturbance to high end tropical storm in about a day over the southern Caribbean. Karl splashed ashore on the Yucatan Peninsula with 65 mph wind early this morning and at the time of this writing will be moving back over water in a matter of hours into the Bay of Campeche (southwest Gulf of Mexico). It's future path takes it across the Bay to a second landfall over old Mexico, well south of the U.S. border, as a category 1 hurricane on Friday night. Some of the statistics in this blog courtesy Jeff Masters/Weather Underground. Another warm, though not particularly hot, week is ahead for Mid-Southerners with continuing dry conditions for the most part, which will exacerbate a developing drought scenario. The graphic above shows the abnormally dry to moderate drought conditions that exist across Shelby and Tipton Counties. The good news is that humidity will continue to be low, providing for pleasant conditions and somewhat cool mornings. For the next few days, through the first half of Thursday, high pressure will dominate Mid-South weather. As it builds to our east, wind will shift to the south and humidity will increase slightly (though not to levels we saw this summer). High temperatures will be near 90 today and in the lower 90s Tuesday through Thursday with plenty of sunshine, while morning lows will be near 60 Monday morning and in the 60s Tuesday and Wednesday mornings (slightly warmer in the city proper). By Thursday afternoon, a cold front will approach the region. An increase in moisture will mean partly cloudy skies and lower 90s on Thursday and more clouds with a slight chance of rain Friday as the front stalls over the area. The increase in clouds Friday will keep the high temperature in the upper 80s. This weekend, the front will move back north as a warm front and bring warmer weather (90 degrees plus), though humidity remains moderate to low under sunny skies. Perfect weather for the Memphis Tigers home opener versus MTSU on Saturday evening! For complete forecast details, visit MemphisWeather.net and check out the MWN Forecast. As the graph above (courtesy NOAA) shows, today (September 10) marks the peak of the average Atlantic hurricane season. To date, we have had 9 named storms and 2 unnamed depressions, 3 hurricanes, and 1 major hurricane. Fortunately, no major systems have made landfall along the U.S. coastline, though T.D. 2 passed through the Rio Grande River Valley, Bonnie brought tropical storm conditions to south FL and its remnants soaked the Gulf Coast, Hurricane Earl grazed the East Coast, and Hermine has brought flooding rains to the south-central U.S.
With dire predictions to start the year and a relatively slow start early, the past month has seen activity increase and the trend seems to be continuing for what will end up being an above-normal season. It remains to be seen exactly what the second half of the 2010 season will bring, but we certainly are far from over. 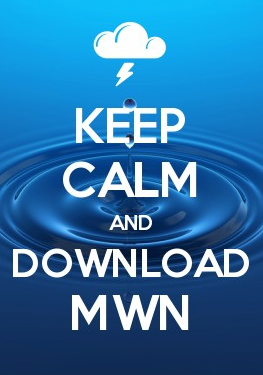 The MWN Tropical page will have details on each storm from formation to dissipation. Labor Day weekend weather turned out to be gorgeous across the Mid-South, particularly Saturday and Sunday, as cool and dry high pressure dominated the region. Dewpoints (a measure of humidity) dropped to their lowest levels since spring, making temperatures in the 80s feel even better. The low dewpoints also contributed to morning lows in the 50s, the coolest since mid-May. As high pressure moves east and wind takes on a more southerly component, temperatures today (Labor Day Monday) will warm into the lower 90s, though humidity will remain low. As we move into Tuesday, a warm front will pass through from south to north. The front will not necessarily cause warmer temps, but will markedly increase the humidity factor by drawing considerably more moisture into the region from the Gulf of Mexico. The origin of some of this moisture will be Tropical Storm Hermine, which is currently approaching the south Texas coast and will move north through Texas on Tuesday. With increasing moisture and humidity, look for scattered showers and a few thunderstorms on Tuesday and Wednesday with a slight chance Thursday as well. Highs will still push to near 90 or better, but the increased humidity levels mean lows remain in the 70s, rather than 50s and 60s. It appears another cold front could move into the region this weekend, so rain chances will likely increase again, especially Sunday. For a complete look at the upcoming week's forecast, check out the MWN Forecast on MemphisWeather.net, the most accurate forecast for Memphis and the Mid-South. August is typically a hot month in the Mid-South, but August 2010 set multiple daily heat records and will go down as the 3rd hottest August on record. Ten temperature records were tied or broken (listed below) and Excessive Heat Warnings were in effect on 14 days with Heat Advisories in effect another 4 days. For the month, the average temperature was 86.6 degrees, which was 5.4 degrees above normal. The average high temperature was 95.8 degrees and the average low was 77.3, with 29 of 31 days reaching a high of at least 90. Typically, only 17 days reach highs of 90 degrees or higher. The maximum temperature for the month was 104 degrees on the 4th and the lowest was 66 on the 27th. 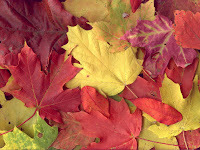 There were 7 days in which the high temperature was at or above 100 degrees and 12 days on which the low never dropped below 80. As far as precipitation was concerned, the month continued the mainly dry trend of the summer period. Precipitation totaled 2.32" or 0.68" below normal. There were 9 days with measurable rainfall, but 6 of those saw less than one-tenth of an inch. A total of 1.18" of rain fell on the 22nd, or just over 50% of the month's total. The peak wind gust was 49 mph, recorded in a thunderstorm on the 13th, while the average wind speed for the month was 6.9 mph. Humidity averaged 64%. Click here for the NWS climate recap for August. Bartlett also saw a very hot and dry month. The average temperature for August at the WXLIVE! station in north Bartlett was 83.7 degrees with a maximum of 103.1 on the 4th and a minimum of 57.5 degrees on the 27th. The high temperature failed to reach 90 on only 5 days, all occurring after the 24th. August precipitation ended up well below normal with a precipitation total of 1.77", with only 5 days or measurable rainfall. A co-located manual gauge used for the CoCoRaHS program measured 1.79" in August. The peak wind gust was 25 mph on the 22nd. Click here for a daily statistical recap on MemphisWeather.net. For the month of August, the average temperature error in all MWN temperature forecasts was only 1.47 degrees, beating all compared computer models, including the National Weather Service, by 17% or more. It was also the most accurate month for MWN in over 2 years and MWN's 5th most accurate month ever (12+ years of daily forecasts)! Over 80% of the MWN temperature forecasts for the month were within 2 degrees of the actual temperature. MWN's forecasts extend out five periods (or 2.5 days). For dewpoint accuracy, the MWN forecast was also the best of the data sources at 1.84 degrees average error and was within 2 degrees of the actual dewpoint almost 68% of the time. More detailed accuracy statistics can be found here.